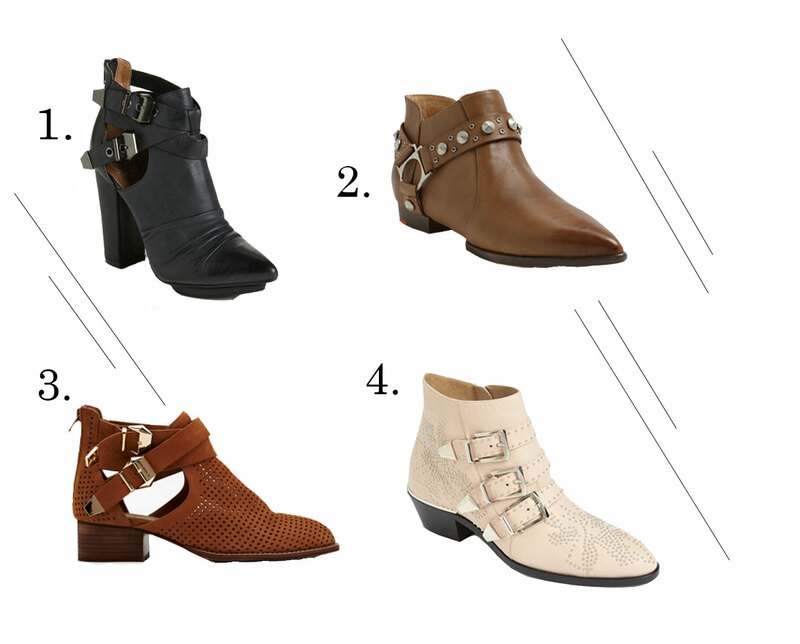 Lately, I’ve been completely obsessed with booties that have special details like buckles and hardware. Here are some of my favorites above. Which one’s your fav?? 1. Jeffrey Campbell Gaelle Bootie $204.95// 2. Joe’s Dahlia Boot $224.95// 3. Everly Cutout Boot $205// 4. Chloe Suzanne Stud Buckle Boot $1,345.